But Grubstreet names another culprit—Jim Gaffigan’s famous stand-up routine mocking Hot Pockets. The self-proclaimed “pasty” comedian has become inextricably linked with the alternately frosty and molten snack, to the extent that many of the search results for “Hot Pockets” on Twitter are actually about Jim Gaffigan. 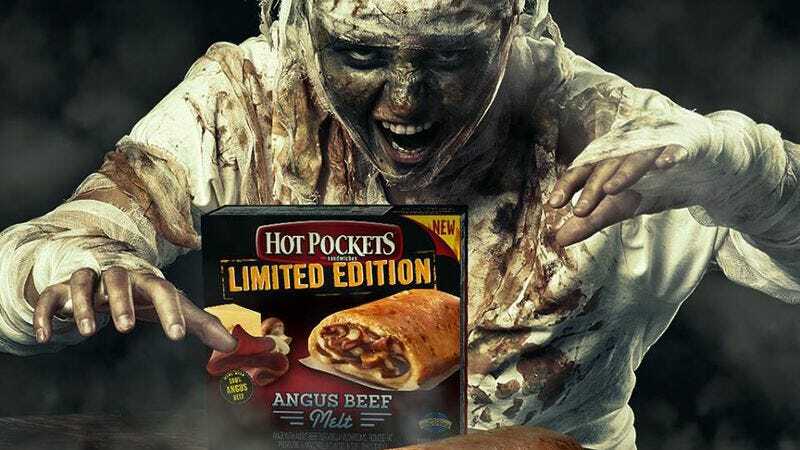 The end of Hot Pockets could also mean the end of Jim Gaffigan, so do your duty, Internet, and burn your mouth on a Hot Pocket today, because making fun of Double Downs and Olive Garden is already taken.